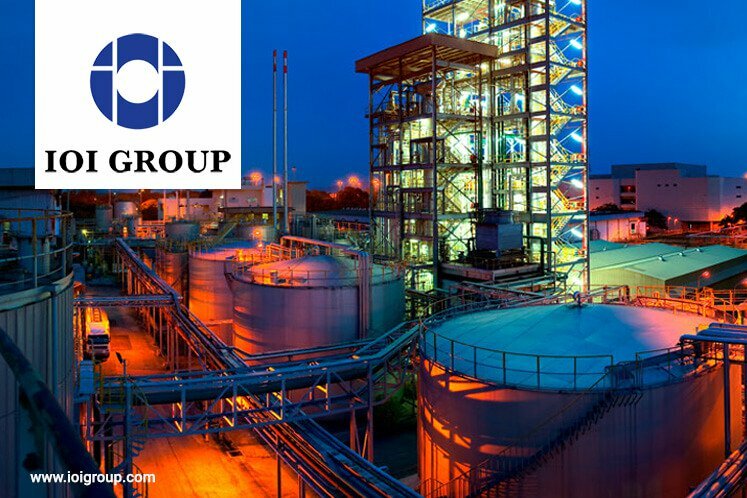 KUALA LUMPUR (Sept 13): IOI Corp Bhd rose 3.74% this morning after it sold its 70% controlling stake in specialty edible-oils provider IOI Loders Croklaan to New York-listed Bunge Ltd for US$595 million plus 297 million euros cash. At 9.02am, IOI Corp rose 17 sen to RM4.72 with 226,300 shares done. In a filing with Bursa Malaysia today, IOI Corp said it entered into a sale agreement with Koninklijke Bunge, Bunge’s wholly-owned subsidiary, to dispose of the controlling stake in Loders — the company that it invested into more than a decade ago to expand its oleochemicals operation. The plantation giant said that the disposal is part of its internal restructuring exercise. Meanwhile, CIMB IB Research has maintained its “Hold” rating on IOI Corporation Bhd at RM4.55 with a higher target price of RM4.74 (from RM4.49) after IOI Corp made the announcement. In a note today, the research house said it was positive on this as it views the selling price for the 70% stake to be attractive. “There are also plans to distribute 20% of the proceeds to shareholders as dividends. “The sale will lead to a one-off gain of RM2.5bn and reduce its gearing ratio to 0.34x. “We raise our SOP target price to reflect higher valuations for Loders. Maintain Hold,” it said.